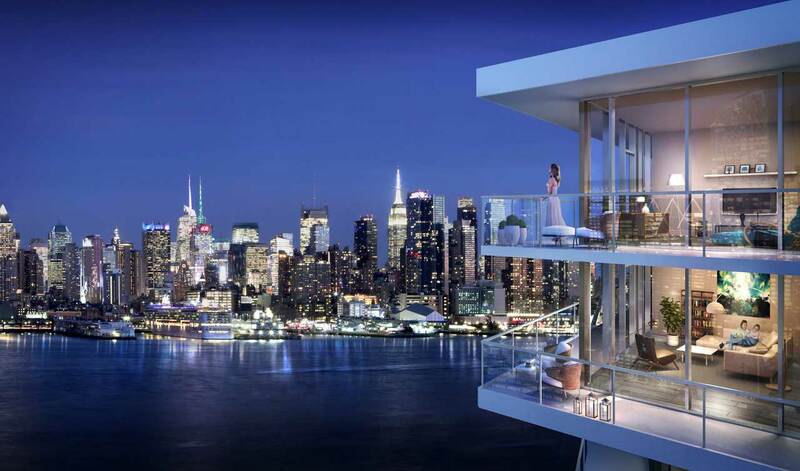 via RESIDENT magazine – With demand for new high-end condominiums with proximity to Manhattan on the rise, Landsea has launched sales for Avora, an 11-story, amenity-rich building on Weehawken, NJ’s Hudson River waterfront with unparalleled views of the midtown Manhattan skyline. Ideally located just steps from the Port Imperial Ferry Terminal — which provides an ultra-convenient 8-minute commute into New York City – Avora features 184 premium one-, two- and three-bedroom condominium homes, as well as a limited offering of duplex Penthouses. Homes are pre-construction priced from the $800,000’s to more than $4 million, with initial occupancy anticipated for first quarter, 2018.